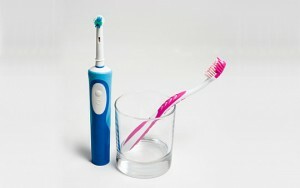 A Manual Toothbrush OR an Electric Toothbrush - Which Is Best? A Manual Toothbrush OR an Electric Toothbrush? Even though there is some research data claiming that the best electric toothbrush can clean better than the best manual ones, other reasons such as facility and boosting of motivation are usually the main reasons to advise the use of an electric toothbrush. Most people do not brush their teeth correctly, due to improper brushing technique or not brushing long enough. Only minimal skill level is needed to brush properly with an electric brush while a manual toothbrush requires dexterity and diligence. The best electric toothbrush models will probably clean better in those cases where someone lacks the skills needed for manual brushing. For people who have problems making the necessary movements of brushing (i.e. people with arthritis and elderly people), electric brushes are often the only solution. Many people, and especially children, prefer a power toothbrush due to the smaller brush head that is easier to reach all areas of the mouth, even to the back teeth without causing discomfort as some larger brush heads do. Less brushing force is required by power toothbrushes to provide effective dental plaque removal than with manual toothbrushes. Normally, the best electric toothbrush models are less likely to cause damage to tooth enamel and gums. Some of the best electric toothbrushes such as the Braun, Oral-B, or Sonicare range allow you to regulate the brushing time and pressure applied using a built in timer and pressure sensors. The novelty of a power toothbrush can be a strong motivation to encourage some people to give more importance to their daily dental hygiene (especially those who like gadgets, and children). Finally, an electric toothbrush is recommended for those who wear braces as it may reach crevices between braces and teeth that are not easily cleaned. In recent years, even the best electric toothbrush styles have become affordable and provide high quality performance.